Electronic leader Global Relay is the official sponsor for the Global Relay Gastown Grand Prix, taking place on Wednesday, July 12. The cloud-based message archiving firm began working with the race event back in 2012 and transformed it into one of North America’s best successes. As a result, the Global Relay Gastown Grand Prix is now the only race of its kind in Canada to be recognized with the official international UCI (Union Cycliste Internationale) status. Last year, Global Relay renewed its title sponsorship of BC’s most famous race, so both organizers and participants can look forward to another four years of support from Global Relay until 2021. In 2009, Global Relay stepped in to bring life to the event when no sponsor could be found. To do this, the business leader invested $1 million to support BC’s most popular race and it also mobilized its workforce to take over the organization of the race. The company has its headquarters in Gastown so it’s right in the heart of the action. “Our goal as title sponsor of the Global Relay Gastown Grand Prix is not only to consistently host a world-class event, but also to elevate the race with each successive sponsorship year,” Warren Roy, Global Relay’s CEO told Pedal Mag. 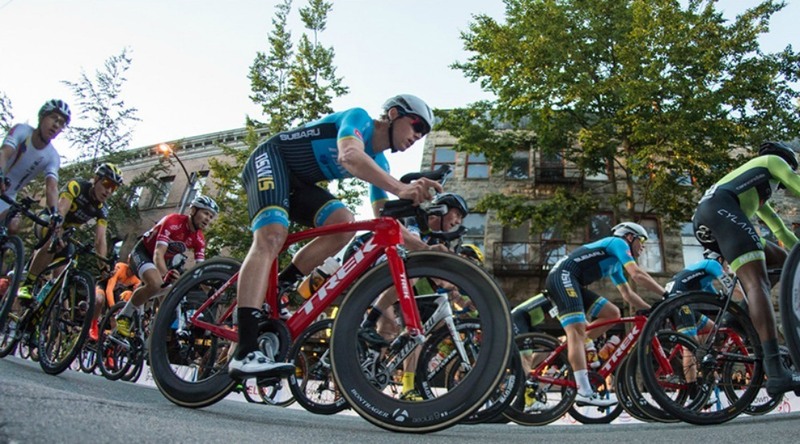 The Gastown Grand Prix has been running in Vancouver for more than 40 years, bringing high-speed international bike racers to the city’s cobblestone streets. And along the way, the race inspired many young athletes to take up the sport on a professional level with some going on to represent Canada at the Tour de France, the Olympic Games, and the World Road Championships. So whatever you do, just make sure you get down to Gastown early on race day to get the best views of this exciting cycling Grand Prix.